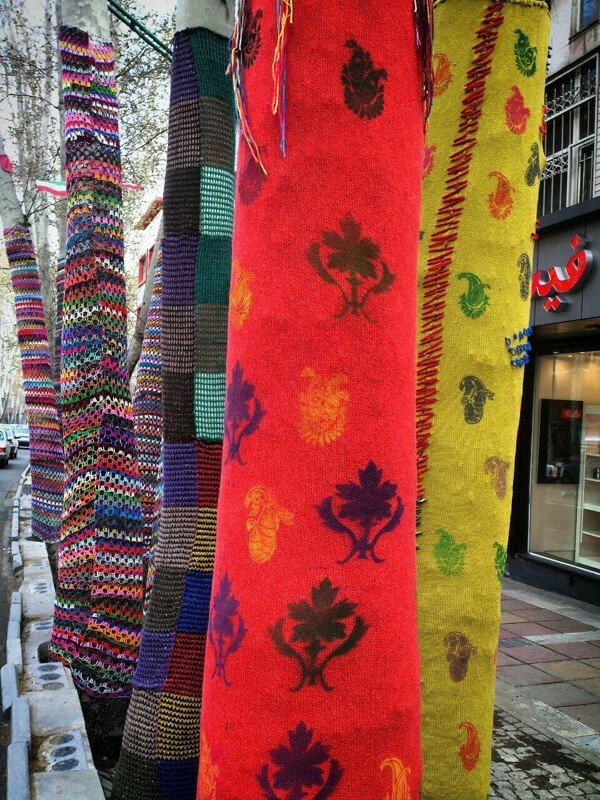 In recent days, with spring arriving in full force, the Beautification Department of Tehran’s Municipality has displayed “trees of happiness” in the capital’s main street, Vali Asr. According to Honaronline website, Ms. Nasrin Sarmadi, the creator of these works, said, “I have called my work “Happy Trees,” and have used cotton rope for making them. 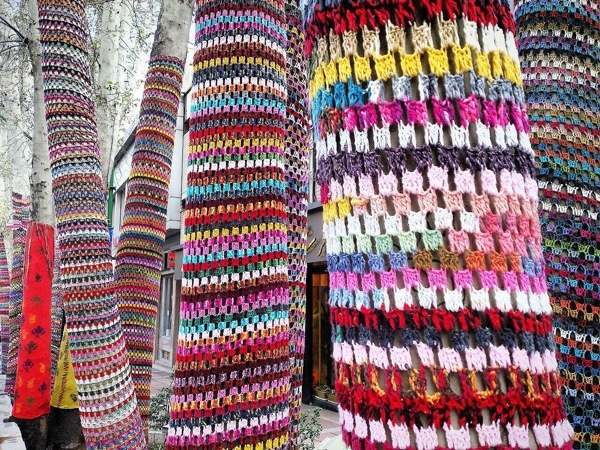 Rope is wound round around the tree trunks, then painted with colours. 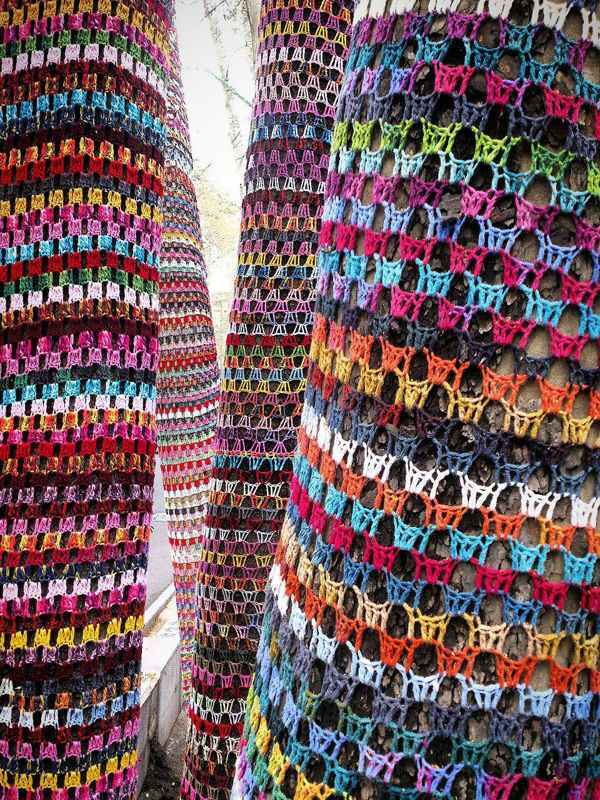 By using cotton rope to cover the trunks up to a height of 2 metres, we do no harm to them, said the artist. She added that designs used on Kilims, a type of Iranian handmade rug, were used in attractive shapes, bringing beauty and happiness to the streets of our capital. This annual event is called the spring festival, and this year is taking place at Vali Asr Crossroads, and in nearby Daneshjoo Park. The festival started on the eve of the Iranian New Year (Nourooz), and will conclude at the end of the first month of the Iranian calendar year, Farvardin.